American poker pro Scott Seiver earned one of the biggest tournament victories of his decorated career by winning Party Poker Premier League V. And with the Premier League V lineup loaded with top pros such as Patrik Antonius, Tony G, Bertrand “ElkY” Grospellier, Andy Frankenberger, Eugene Katchalov, Luke Schwartz, Erik Seidel and Vanessa Selbst, this win was no small feat for Seiver. What’s unique about Premier League V is that amateur players got the opportunity to compete with all of these world-famous pros through prize packages. Interestingly enough, one of the prize package qualifiers – Matt Frankland – actually managed to take the chip lead onto the final table. Unfortunately the pros came alive at this point, and Frankland’s Cinderella run ended when he busted out in seventh place. Following Frankland’s exit, Scott Seiver began to make his presence known by knocking Tom Dwan (K-6) out with pocket 7’s. Dan “Jungleman12” Cates was also beginning to play well at this point as he rivered a queen to send Tony G to the rail in fifth place. Phil Laak and Patrik Antonius butted heads next, with Laak’s pocket queens holding up against Antonius’ A-9 combo. The final elimination before heads-up play began involved Seiver (Ad-Td) busting out a shortstacked Laak (4c-2c) in third place. Cates and Seiver started nearly even in chips, but this didn’t last long as Seiver took a 2-1 chip lead after only a few minutes. Just a short time later, Cates went all-in with pocket 7’s while Seiver went all-in with K-Q; the first four board cards didn’t help Seiver’s cause, but a king fell on the river to give him the win and the $500,000 top prize. With this victory, the Las Vegas native has earned $4,772,749 in live poker tournament winnings. 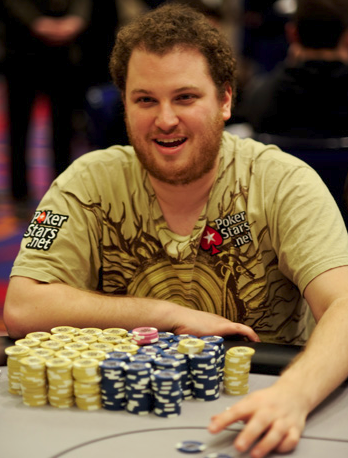 Some of his career highlights include winning a 2008 WSOP NL Hold’em bracelet ($755,891), taking down the 2010 L.A. Poker Classic High Roller ($425,330), and finishing first in the 2011 Five Star World Poker Classic ($1,618,344). Any poker players interested in more great opportunities and poker promotions like the Party Poker Premier League V Qualifier Prize Packages should sign up at Party Poker through RakeTheRake for the best rakeback deal and poker cashback whether you win or lose.